Siargao Island is a great place to locate yourself if you like the combinations of surfing, surf/beach culture with a ‘hipster’ vibe. Until recently Siargao Island was relatively undeveloped, however now it is one of the biggest hot spots for younger tourists from Manila, as well as backpackers and foreign travelers. Cebu Pacific now fly here from Manila and we recommend that this is the best way to get here without headaches and hassles. There is the most famous surfing breaks here, however we still rate Baler as a better all round surfing location. You can also do many other water sports, especially deep sea fishing as the tuna run up past the island offshore. Due to the influx of tourists from Manila there is a vibe similar to La Union here, however a lot of recent tourist developments have been happening here and as a result Siargao Island is a nice location to enjoy the beach life as well as party at night. Like Puerto Princesa in Palawan Siargao Island is quite far from a major urban hub like Cebu or Manila, with Davao being the closest major urban hub, however not readily accessible. So if you are going to base yourself here be prepared to bring all your work tools and don’t expect to be able to get to a major urban hub quickly unless you are prepared to fly to Manila. 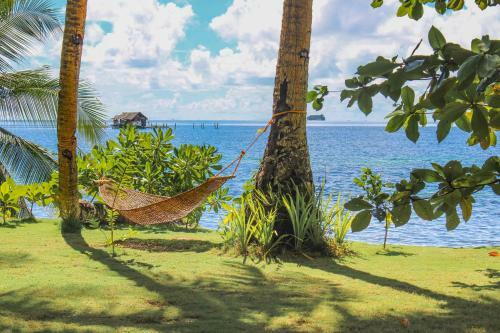 Want to set up as a Digitial Nomad in Siargao Island and not sure where to start? Get in touch with us now and we can help you get settled. There are more than 7,000 islands in the Philippine Archipelago, but there’s nowhere else on Earth like Dedon Island. This unique resort is located on the southeastern tip of reef-ringed Siargao, one of the last islands of the Asian continent. Blessed with lush tropical jungles, white-sanded beaches and countless surfing breaks, including the world-famous Cloud 9 barreling wave. On Dedon Island, you need never open your wallet, never sign for a drink or meal, never so much as think about money. Every massage you indulge in, every excursion you undertake, all the equipment you use — from paddleboard to Jeepney to our state-of-the-art amphibious boat, complete with crew — is covered by a single flat rate. So make yourself at home in your own private paradise. Want to learning cooking with a world class chef? He’s in the kitchen, awaiting you. Feel like picnicking on that secluded desert island? They’ll send a boat right over. Need another massage, even though you just had one? Whatever it takes to get you in a barefoot state of mind! Set in a remote area in General Luna within Siargao Island, Kalinaw Resort boasts a private beach area, an outdoor infinity pool, a restaurant. The resort is 800 metres from the renowned Cloud 9 surf spot, offering free WiFi access throughout the property. The expansive villas and suites at Kalinaw Resort feature a flat-screen TV with satellite channels and an iPod docking station. The rooms feature a sofa seating area where guests can relax. The private bathrooms come with a rain shower and free toiletries while some units are fitted with its own pool offering views of the sea. Other in-room amenities include a safety deposit box and a minibar. At Kalinaw Resort, guests can engage in an array of activities such as canoeing, surfing, snorkelling and diving. The outdoor swimming pool offers panoramic views of the sea while bicycle rental is available and the garden area provides a relaxing setting for an afternoon stroll with views of the beach. The property offers babysitting and laundry services. Airport transfers and shuttle services can also be arranged upon request, at additional charges. The resort is an hour drive to Magpupungko Tidal Pools and the nearest airport is Sayak Airport, 31.3 km from the property. Conveniently located in Siargao Islands, Ocean 101 Cloud 9 Beach Resort is a great base from which to explore this vibrant city. Only 32.2 km away, this 3-star hotel can be easily accessed from the airport. With its convenient location, the hotel offers easy access to the city’s must-see destinations. 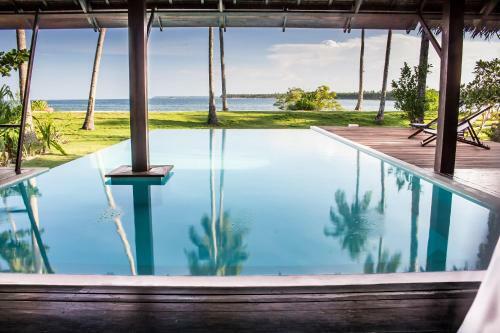 Take advantage of a wealth of unrivaled services and amenities at this Siargao Islands hotel. This hotel offers numerous on-site facilities to satisfy even the most discerning guest. Ocean 101 Cloud 9 Beach Resort is home to 31 bedrooms. All are tastefully furnished and many even provide such comforts as television LCD/plasma screen, complimentary instant coffee, towels, internet access – wireless, internet access – wireless (complimentary). The hotel offers many unique recreational opportunities such as boats, hiking trails, yoga room, snorkeling, surfing lessons. Ocean 101 Cloud 9 Beach Resort is a smart choice for travelers to Siargao Islands, offering a relaxed and hassle-free stay every time. Set in General Luna, Soultribe Beach Retreat provides free bikes and free WiFi. This 2-star resort offers a bar. All rooms are fitted with a balcony. The rooms at the resort are equipped with a seating area. With a garden and a terrace, Surfing Carabao Beach Houses provides accommodation with free WiFi. Some units include a seating area and/or a balcony. Snorkelling can be enjoyed nearby.